Small business computer repair services offered by Reliant Computer Services in lakeland ,FL. 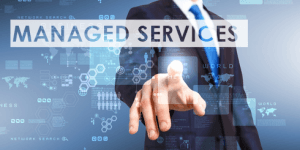 Our committed team of professionals delivers managed IT services and solutions to organizations of varying sizes and backgrounds in and around the Lakeland Florida area. Making use of industry-leading technologies, we enable people to outsource their every-day essential IT duties to our professionals in Lakeland, allowing them to focus on the most essential parts of their jobs. Reliant has more than 25 years in the IT managed services industry in Lakeland, FL, we fully understand how important it is to employ only experienced IT professionals who have a wide range of specialties If you would like more information and in order to find out how our managed IT solutions in Lakeland, FL, can help you, call Reliant Computer Services at 863-588-1557 or complete our online form for more info. When you outsource the management of some or all of your IT systems to a third party, you are investing in managed IT services. Doing so gives you the peace of mind that your IT management is in the hands of experienced professionals, which helps to free up time for your IT support staff and potentially significantly reduce operating costs. Benefits of Outsourcing Your IT to Reliant computer services? Versatility provided by the fact we customize our managed IT services to the specific requirements of each of our clients Reliant Managed Services and IT Solutions in Lakeland Florida is here for any IT need your company may require. Reliants’ experienced IT support technicians can provide cost-effective managed IT services, allowing you to re-assign staff and resources and giving your business the competing advantage. Reliants’ managed data services allow businesses to store, protect and retrieve vital information. By not investing in managed data services you run the risk of significant data loss. Reliant stays on top of evolving IT security threats, using only best-of-breed managed IT security products to ensure our clients’ data and internal processes are fully protected.